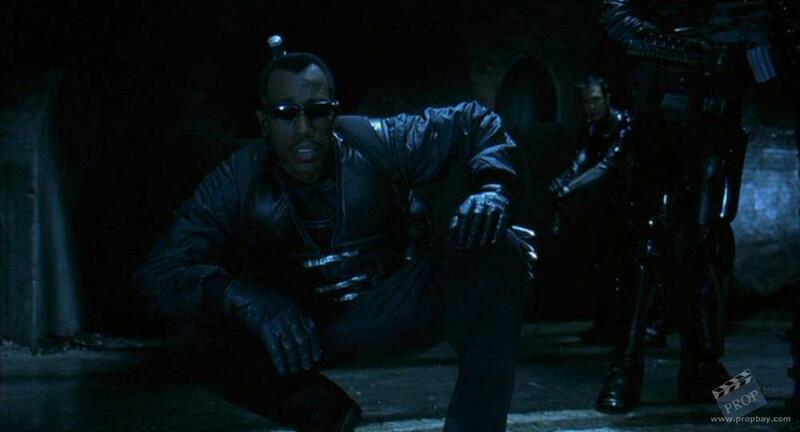 This item is a partial Blade (Wesley Snipes) costume worn in the 2002 vampire sequel, Blade 2. 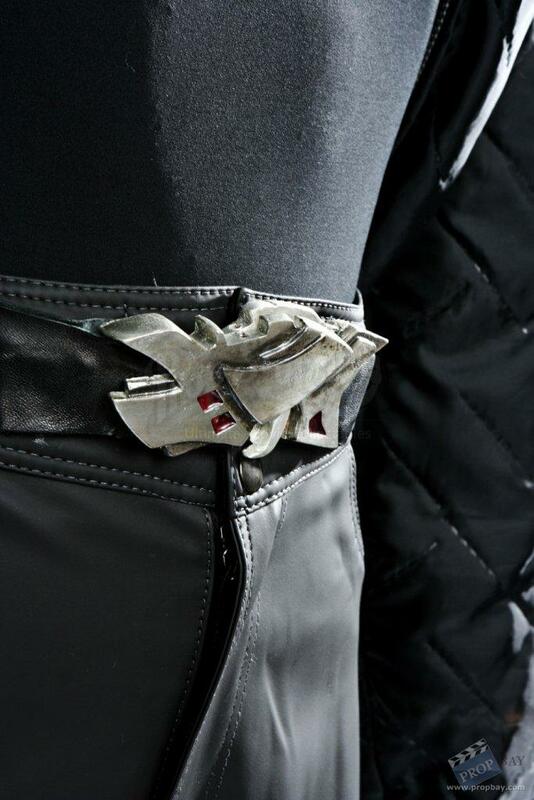 This style outfit can be seen throughout the film worn by the feared Daywalker (Snipes) This outfit includes a pair of black neoprene pants with a silver magnetic style closure and a black soft nylon jacket covered in a triangle stitched design. There are no marked sizes and some production wear but overall the costume remains in good condition. Image 2: Detail of the magnetic closure. Added: 11-17-2011 - Viewed: 2839 times.